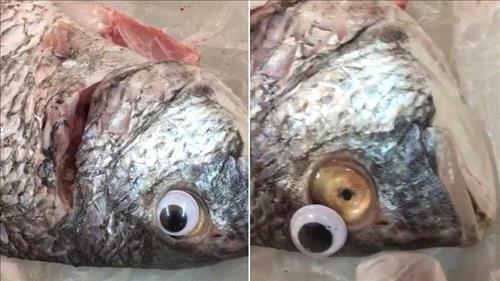 AMMONNEWS - A shop has reportedly been closed down in Kuwait for sticking googly eyes on fish to make them appear fresher, according to local newspaper al-Bayan. A video recorded by a local female customer went viral on social media on Saturday showed her washing the fish only to discover the plastic eyes on the fish. Al-Bayan said that Kuwait’s ministry of commerce shut down the store after the video went viral and the shop was identified.